Associate Professor Payal Mukherjee, currently Funded under a 2016 Conjoint Grant presented a keynote address at the 2017 Sydney Innovation and Research Symposium along with her colleagues Dr Hamish Macdougal, Prof Jonathan Clarke, Mr Kai Cheng and Dr Elodie Chiarovano. The keynote was on the topic of her continuing work on disruptive technologies in Otolaryngology titled, “Augmented Reality to Virtual Reality: from patient care to surgical simulation”. The conference was attended by 1000 people affiliated with Sydney Research and the guest of Honour was NSW Health Minister Brad Hazzard and Secretary of Health, Elizabeth Koff. The goal of the keynote was to get people to use these technologies in everyday patient care and attendees at the conference were all given a patient ID bracelet to wear on their wrists, which when they aimed their phone at using a free APP, would trigger an Augmented Reality image of the program of the day and the map of the venue. 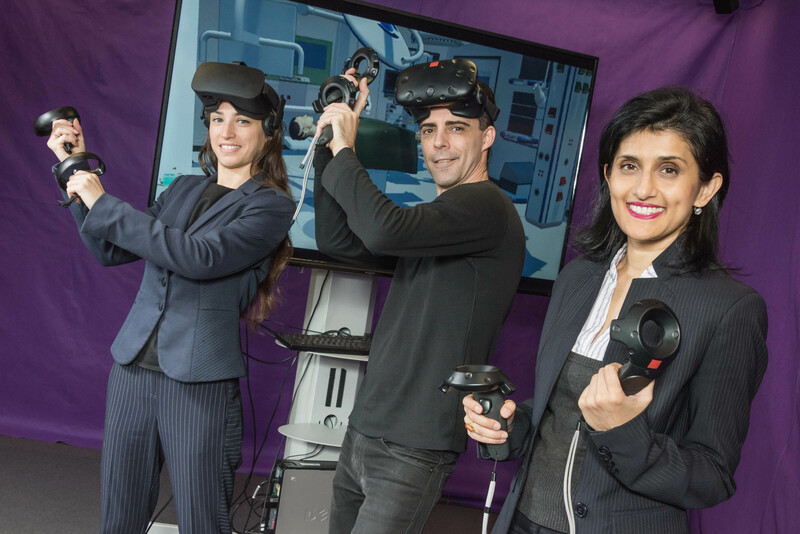 They were also invited to a ‘hands on’ session before and after the keynote to experience AR and VR and learn different applications of these tools from education, patient communication to surgical planning. Following the presentation, A/Prof. Payal Mukherjee and other GPRWMF Funding recipients were congratulated by the NSW Minister for Health, Brad Hazzard, who was very excited to see the high level of innovation in research in field of Otolaryngology and its direct benefit to patients. The video below demonstrates how the 3D Printing work being developed by A.Prof Mukherjee and her team is revolutionising the patient experience. The full keynote is available to watch here.